THANK YOU!! 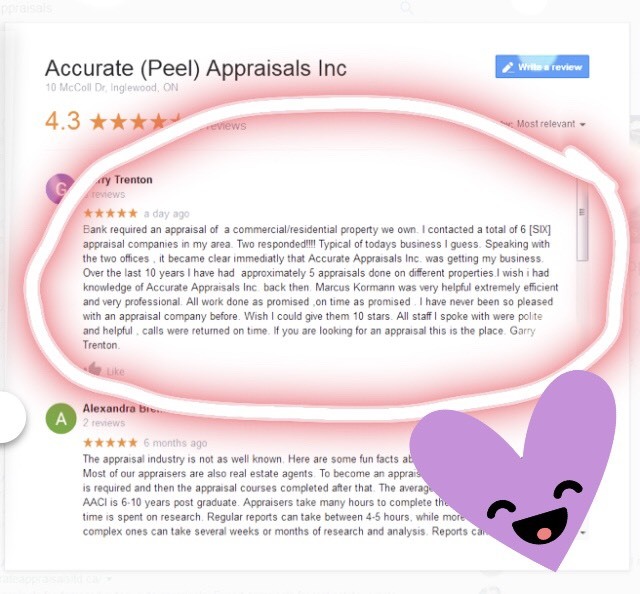 – Accurate (Peel) Appraisals Inc.
Just wanted to send a quick thank you to Garry Trenton, for the kind words he left on our Google review! We really appreciate you taking the time to share about your experience with us and we are so happy that we were able to help! Cheers!